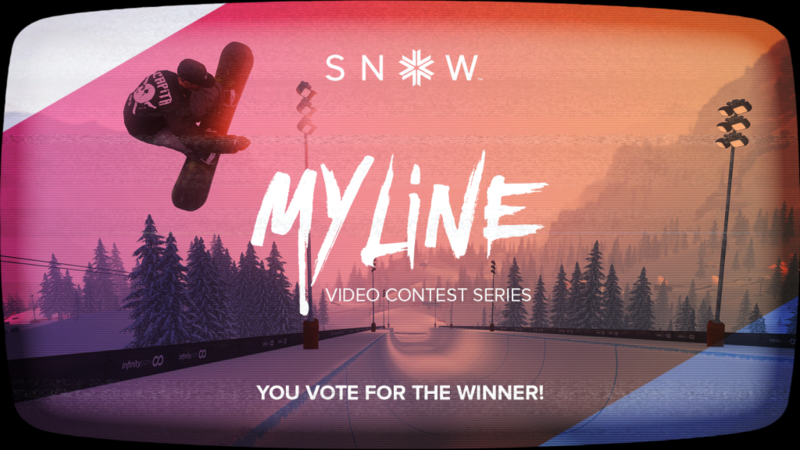 Today we are launching a totally new video contest series called My Line. In this contest series we will be focusing on your skills as a rider, rather than your ability to edit. In My Line we want to see you ride a particular course / area in a single take - no edits to "hide" mistakes. This is real riding, and real skill! There are also a few other changes to the way this contest series will be run. First, everyone who participates will receive a participation reward - by providing us with your Steam ID or PSN ID (and a valid video entry) you will receive a token of gratitude, and a way to show other riders that you have what it takes to share your skills with the world. My Line will also be judged by the community, via our Share page - so now it's up to you to pick the best riders in the community. The Top 3 videos will all win some great prizes, but the gold medalist will have their name on display in our Hall of Fame that will be featured somewhere in Sialia. The first My Line video contest will be focused on the Infinity Park Half Pipe. We want to see the single best run, top-to-bottom as a skier or snowboarder. All participants will receive a reward, assuming you have included your Steam / PSN ID in your video submission. The Bronze, Silver, and Gold medalists will win 2000, 3,000, and 5,000 in-game Credits respectively. And don't forget, the Gold medalist will also have their name in the Hall of Fame on Sialia. Remember, this isn't about how big your tricks are, but about how smooth, stylish, and interesting your entire run is! The contest will run for 3 weeks, so make sure you get your submission in by April 10th. Throughout the submission period you are welcome to vote on other submission by visiting the My Line #1 Share Page and clicking the Cool button. On Friday April 24th all votes will be counted and the winners announced! Head over to the official My Line submission page for a full list of rules, rewards, and detailed info about the contest. We look forward to seeing what you come up with, good luck!